Simply put, this year’s Flawless Collegiate Football release, set to arrive at Sports Cards Plus this Wednesday, is one of the most stacked collegiate releases of the modern era. 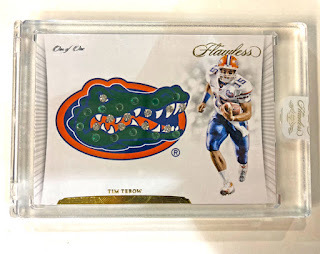 It delivers everything collectors have come to expect from the fabled Flawless franchise, including a powerful display of patch-autograph content, gem-encrusted beast cards and the most in-demand names in the recent and all-time history of college football. 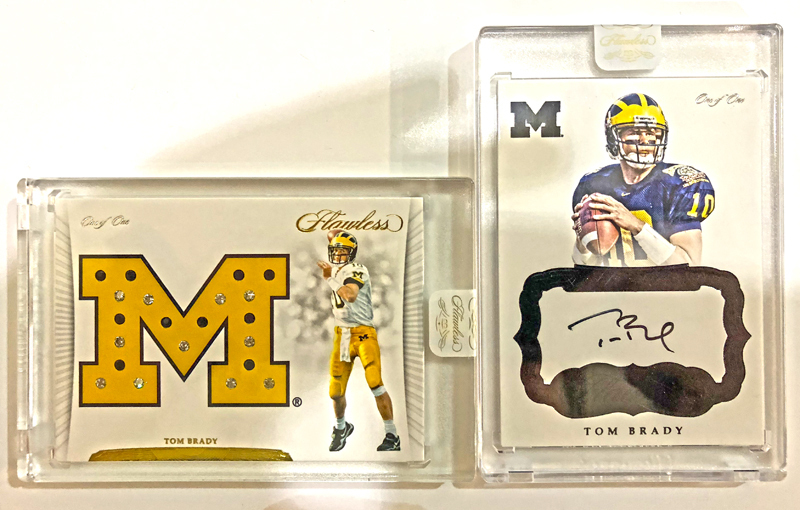 Each 10-card briefcase will deliver, on average, six autographs, two memorabilia cards and two gemstone cards. 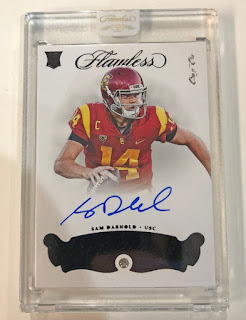 The most super premium college football product on the market, 2018 Flawless Collegiate Football will once showcase the pageantry of the college game with an extensive checklist filled with Heisman Trophy winners and All-Americans from the past nine decades. The calling-card Rookie Patch Autographs will deliver the 2018 NFL rookie class in all of its college glory, including collection-makers featuring Conference Patches, Bowl Game Patches and Brand Logos. 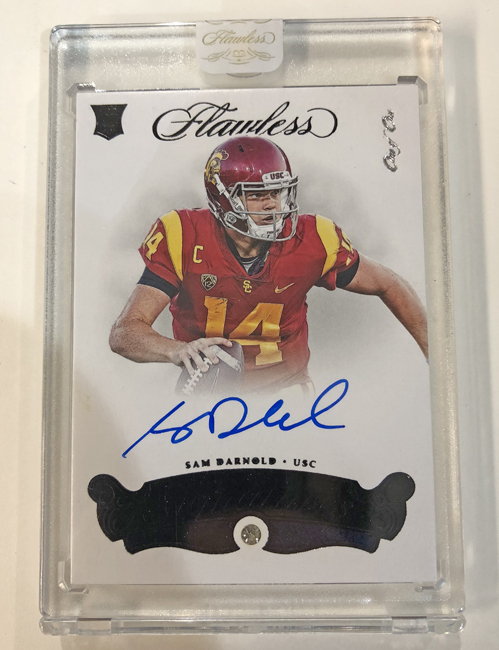 The highlights of 2018 Flawless Collegiate Football are many and include . 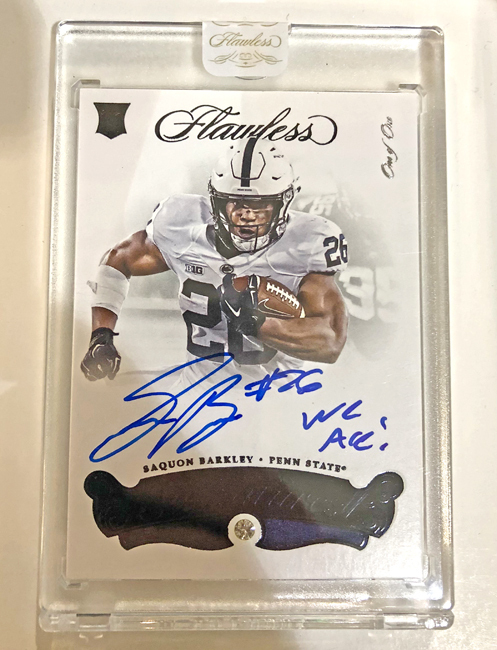 . .
Autographs from college football legends like Bo Jackson, Lawrence Taylor and Barry Sanders in Premium Ink. 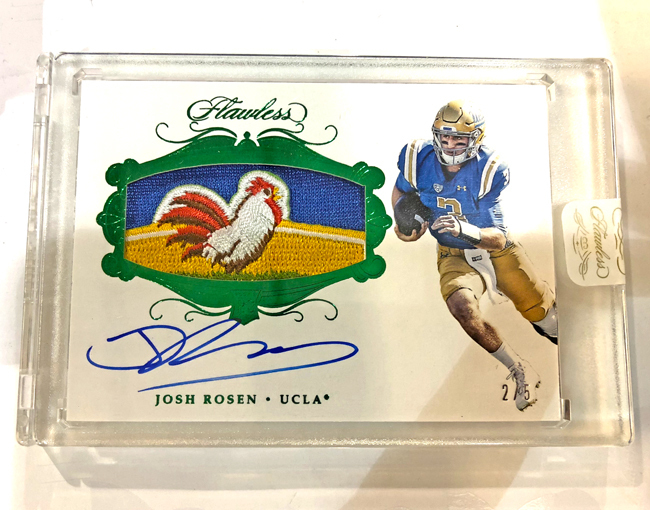 On-card autographs from this year’s draft class will be featured in Rookie Patch Autographs, Rookie Gems Signatures, Rookie Team Slogan Signatures and Flawless Dual Signatures. 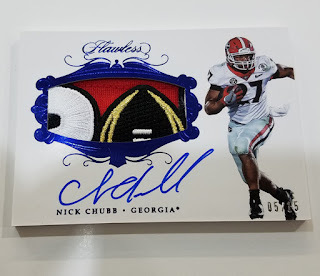 All autographs in the product are either on-card or cut signatures (numbered to 25 or less). 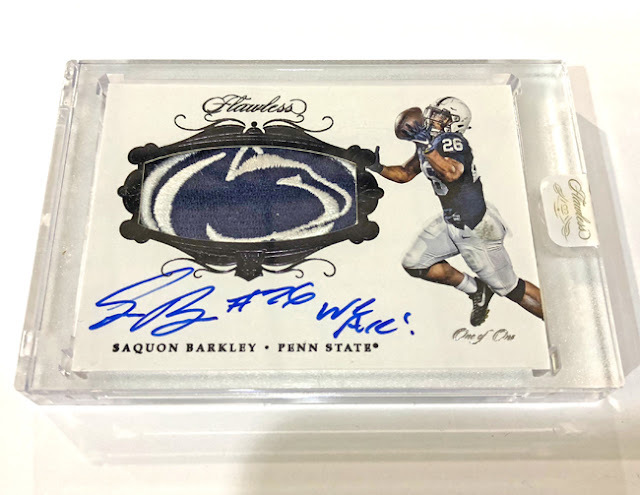 Flawless Dual Signatures features on-card autographs from iconic duos from the same college; look for Base (numbered to 25 or less), Sapphire (numbered to 15 or less), Gold (numbered to 10 or less), Emerald (numbered to five or less) and Black 1/1 parallels. 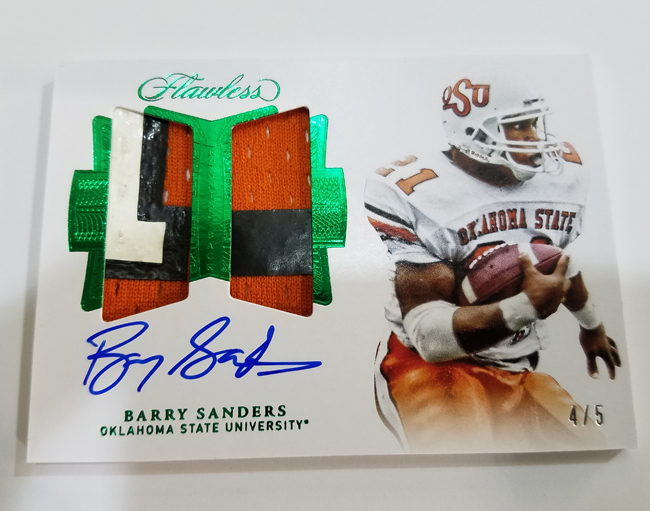 Dual Diamond Memorabilia Autographs features two swatches of material paired with an on-card signature from some of the best college players of all time; insert features the same parallel structure as above. The precious gems breakdown looks like this: Base Diamond (numbered to 20), Ruby(numbered to 10), Sapphire (numbered to eight), Emerald (numbered to five) and Oversized Diamond 1/1s. Look for on-card autographs paired with precious gems in Rookie Gems Signatures. Full of top names, Premium Ink delivers autographs from some of the greatest college football stars of all time. Gems will feature school logos with color-coordinated gemstones inserted into the design with all cards numbered to only one.